Grab your Camera and Tour Country Music History! We encourage you to take photos as you “take a walk through country music history” in the Willie Nelson Museum. You’ll be amazed at the treasures you’ll see and we certainly want you to have a keepsake to remember the experience. The Willie Nelson and Friends museum features memorabilia and personal items from Willie Nelson and more than 30 other country music pioneers. Some of these include Waylon Jennings, Conway Twitty, Patsy Cline, Barbara Mandrell, Dolly Parton, Kenny Rogers, Jeannie Seely, Porter Wagoner and many others. Be sure and read the artists biographies to learn more about how they became country music stars. The Willie Nelson and Friends museum is not just about educating fans about the origins of country music. We also pay tribute to the traditional country music artists and songwriters whose contributions helped build the country music industry into what is is today. Shop Nashville's largest souvenir and gift store for Nashville, Country Music and Jack Daniel's merchandise! Shop for Nashville gifts and souvenirs in Nashville’s largest gift store! We carry huge assortments of Nashville shirts, Nashville gifts, hats, local foods and much more. 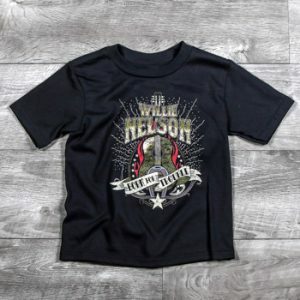 You won’t find a larger assortment of Willie Nelson merchandise anywhere. 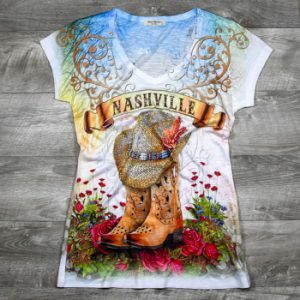 We design many of our own shirts so you’re sure to find your perfect Nashville T-shirt. But, we also carry other country music artists shirts and merchandise. Get a new T-shirt featuring your favorite stars like Johnny Cash, Waylon Jennings and George Jones among others. And of course, since we’re only 45 minutes away from the world famous Jack Daniel’s distillery, you can bet we carry one of the best selections of licensed Jack Daniel’s merchandise in town. Come in and choose from our huge assortment of Jack Daniel’s merchandise. 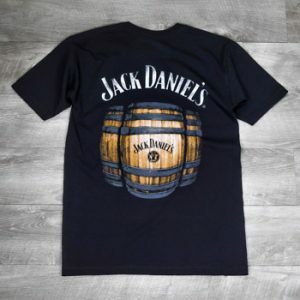 Select from licensed Jack Daniel’s clothing, Jack Daniel’s barware and other Jack Daniel’s gifts and food items like Jack Daniel’s coffee, BBQ sauces, seasonings, whiskey fudge caramels and whiskey cakes.